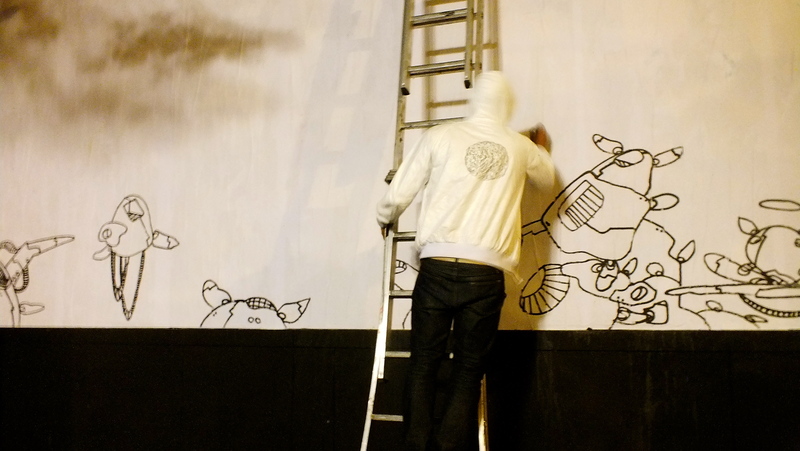 As I wrote here, in my last article about Le M.U.R at Rue Oberkampf, the proposal of the organization is to cover the panel with urban art each 15 days. In May 19, the Portuguese artist VHILS performed at Le Mur and his work was supposed to be there until June 7. 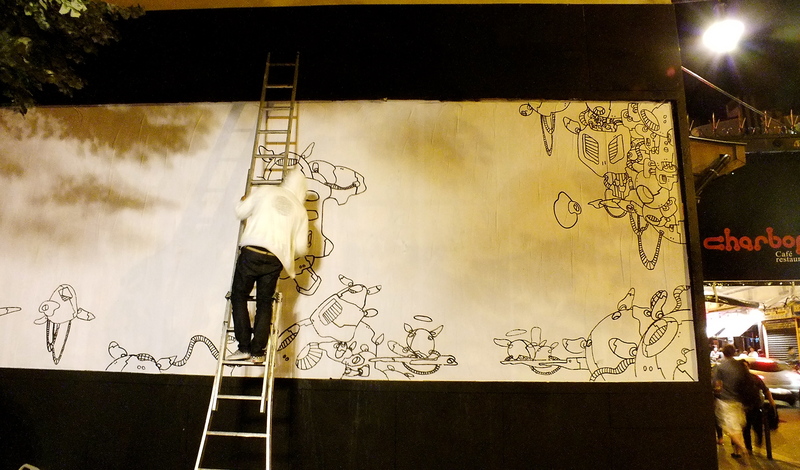 But in the night of May 23 – 24, unfortunately the work was stolen. 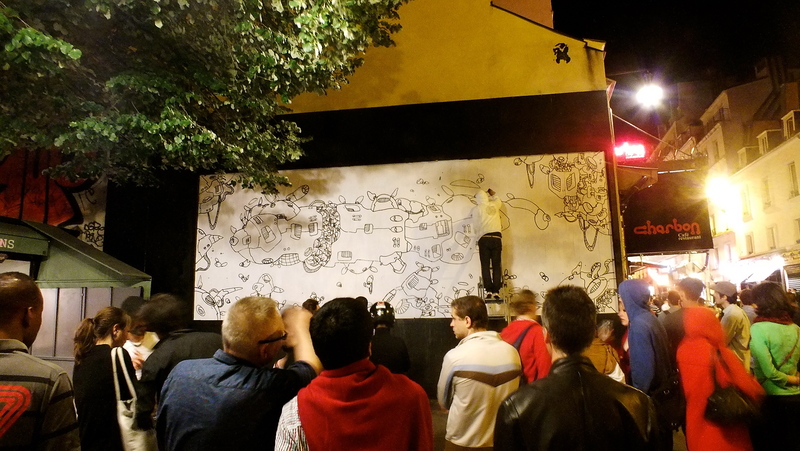 To keep the main purpose of this open sky gallery and show urban art constantly, the members of the organization worked fast and invited other great French artist to perform, LMDLDZR (Le MoDuLe De ZeeR). His performance happened last night, between 1am and 3am, I had this information on first hand by the Street Art Paris Organization and I was there with exclusivity to watch, photograph and talk with the artist. LMDLDZR arrived at 1am and discretely start to work. 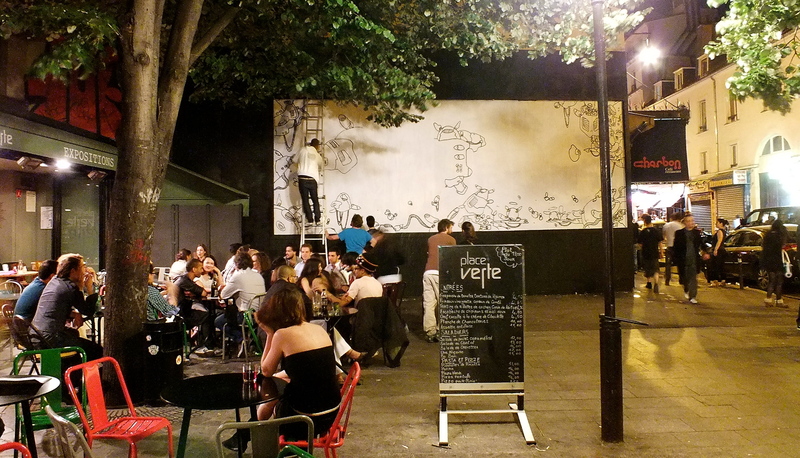 The street was full of people enjoying Friday night in Paris but no one that pass by couldn’t unnoticed his act. 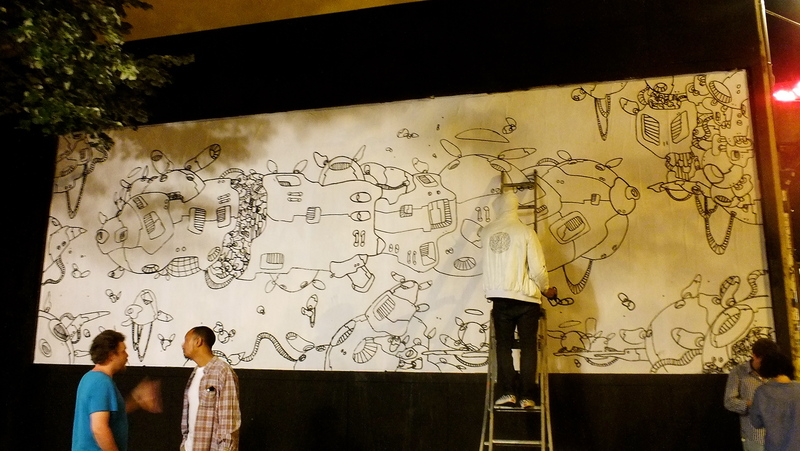 For 2 hours a huge spontaneous audience was luck to appreciate his figurative and abstract graphic work in progress. 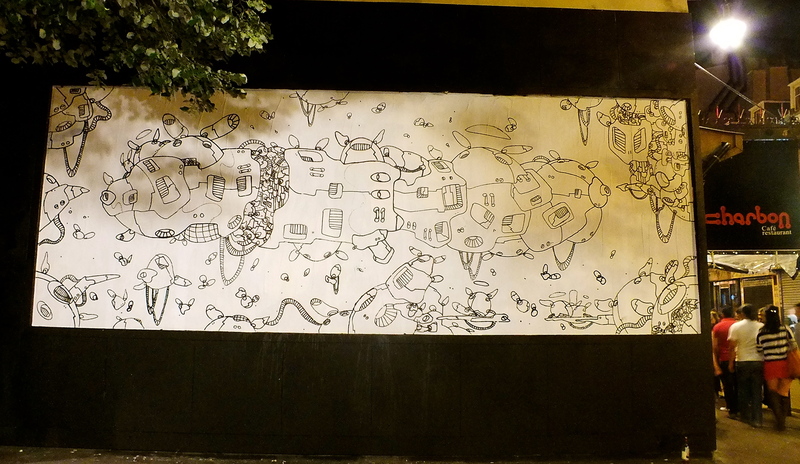 At 3am, he finished after using 6 black markers. When I asked him the meaning of this masterpiece, he answered me that prefers that each one has your own interpretation. Once his work is completely black and white, make sense that you can interpret by yourself and add colors in your mind. 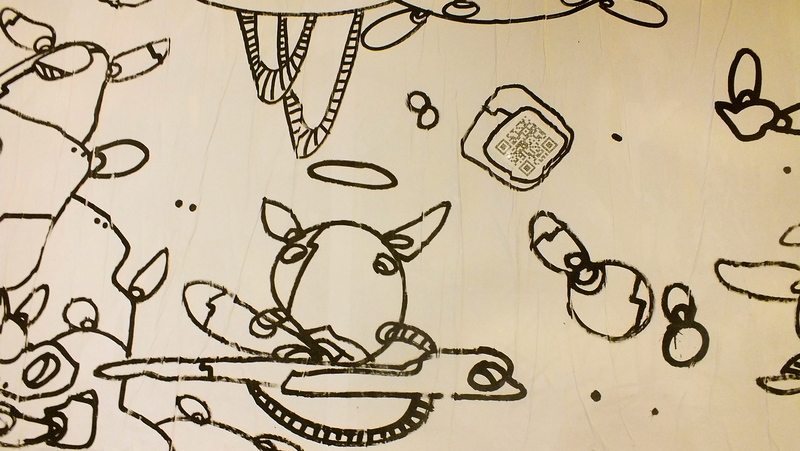 LMDLDZR does not sign his work, but he sticks QR codes in the end. He believes that this is a democratic way. Once street art is for everybody and doesn’t select the public, people that are interested in his work, can scan and discovery more about his art. 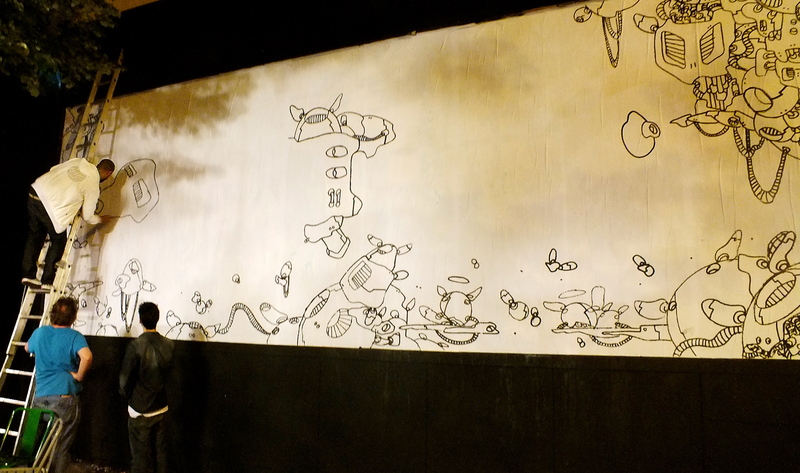 With ambitious projects, we hope to see his work soon on the streets of New York and London. Congratulations LMDLDZR for your art. 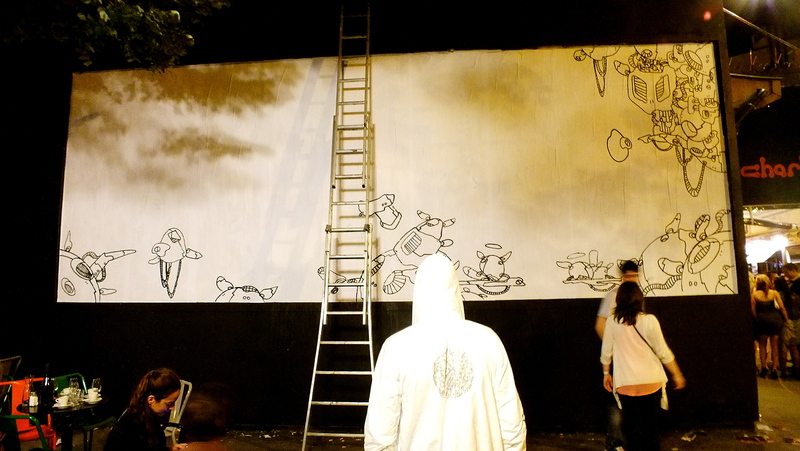 Congratulations Le Mur for bringing us such amazing performance at night and also congratulation Street Art Paris Organization for being so informed in what is happening on the “crème de la crema’ of street art scene in Paris. 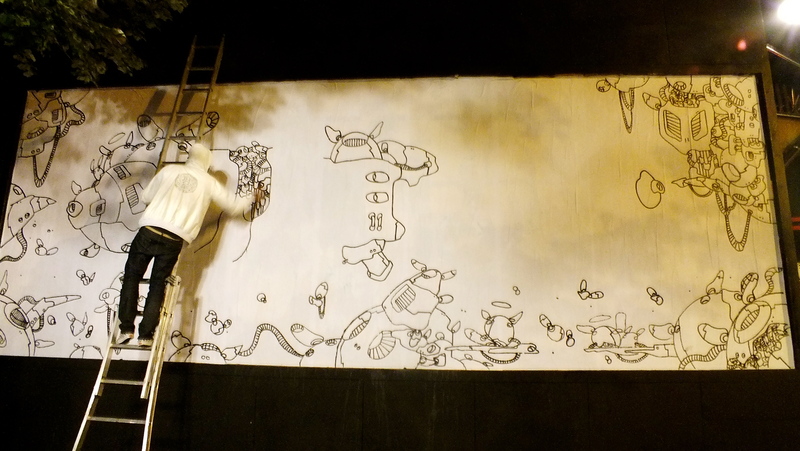 Below, pictures of the artist LMDLDZR working last night. Who’s to credit for pics? Could you put the address of this blog? Of course I can, however as a photographer, I think it is normal to credit first the author of a picture. Ok. My name is Maria Fernanda H. Schweichler!! I know your name as the author of the blog, what I wasn’t sure of was the authorship of the pictures, thanks. Enjoy the weather if you’re still in Paris.